People have been bashing online travel agencies since, well, they first came along in the mid-1990s. It's been bountiful fodder for media hype and conference roundtable hysterics for decades. We've heard it all before, from airlines, hotels and the myriad technology companies, startups and consultants that seek to serve them: OTAs are expensive, innovation-stifling gatekeepers who add far more cost than they deliver in value to travel brands or consumers. So many innovations – from GNEs (anyone remember those?) and NDC to metasearch and loyalty programs – were supposed to spell the death knell for OTAs. Just one thing: it never happened, and all those consultants and prognosticators were wrong. All travel startups – whether on blockchain or not – should understand the true customer problem that needs solving before they prognosticate on displacing OTAs. Now it is blockchain that is supposed to herald the end of the OTAs. Recent and much-discussed travel industry articles – Winding Tree is the new kid on the blockchain set on disrupting Expedia, Powerful travel brands face uncertain future in a blockchain-led world – continue to advance the anti-OTA rhetoric and engage the interest of travel industry brands eager to reduce their OTA commission expense. How will blockchain do this? Supposedly, the distributed, immutable blockchain database, or ledger, will enable sellers (hotels, airlines, etc.) and buyers (travelers) to execute contracts (bookings) without the need for a "trusted" third party. The key innovation in blockchain is the concept of decentralized and un-hackable trust. So, through the blockchain, the buyer can execute a payment or contract without the need of a trusted intermediary such as a bank, credit card, clearing house, or even an OTA, and thus without the fees typically charged by those gatekeepers. There is just one problem with this thesis: "trust" is not the main reason why travelers book with OTAs. In fact, Phocuswright research indicates travelers choose websites for product choice, ease of use, efficiency and the best price. But travelers do seek the confidence that they are making the best possible decision for their trip, and that translates into "trust" for OTAs because they offer better choice, content and relevant search results in an efficient and beautiful user experience with clear messaging. "Today's travel distribution architecture is extremely inefficient … blockchain allows these unnecessary costs to be eliminated entirely," said Pedro Anderson, founder and COO of Winding Tree, on The Next Web. Those "unnecessary costs" are not the result of inefficient architecture. Those costs may seem unnecessary to hotels, but they are very necessary to OTAs, which spend billions to acquire customers (marketing and advertising) and make sure they convert (that means investing in the technology to build easy-to-use websites with plenty of relevent options and pricing). All of the anti-OTA sentiment is not without merit. The costs to hotels and other travel brands are high, as are the challenges of acquiring customers directly. Without a doubt, there is a real marketing problem to be solved for hotels and other travel brands. But as all of these startups and anti-OTA consultants fixate on industry complaints, it is the OTAs that are solving the traveler problem. What is the one thing that could disrupt OTAs? It is a new business model or platform that can deliver demand to airlines and hotels at a significantly lower customer-acquisition cost. That could be a new hotel platform from Airbnb that sticks with the company's 3% supplier fee; it could be a millennial- and gen-Z-savvy startup such as Hopper that has figured out how to reach the next gen via mobile without spending insanely on Google; it could very well be Google itself. And yes, it could be some new application built on blockchain. Click here to register for this year's event and learn more about blockchain. But it will be a disruption that solves the traveler problem first. Any blockchain-based startup will still have to acquire and convert customers. In online travel, that is neither easy nor inexpensive. The enthusiasm surrounding new, potentially paradigm-shifting technologies can be intoxicating. It is also typically the source of inflated expectations. 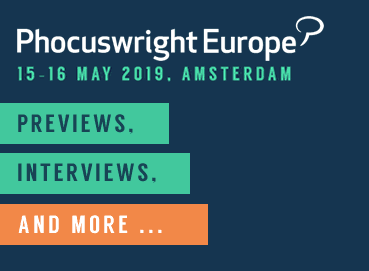 Delve into blockchain and its impact on travel with Winding Tree's co-founder and CEO Maksim Izmaylov at Phocuswright Europe. 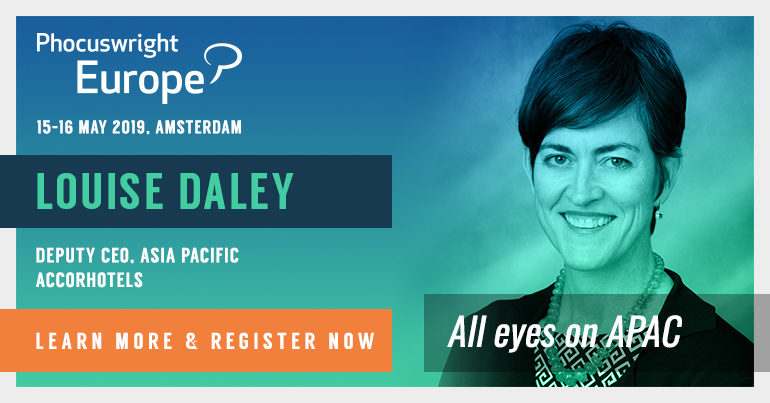 Explore the program and speaker listing and register here. Future Talk: Blockchain & Travel: This 13-minute video by Phocuswright senior technology analyst Norm Rose is the perfect starting point to understand what blockchain could mean for travel.